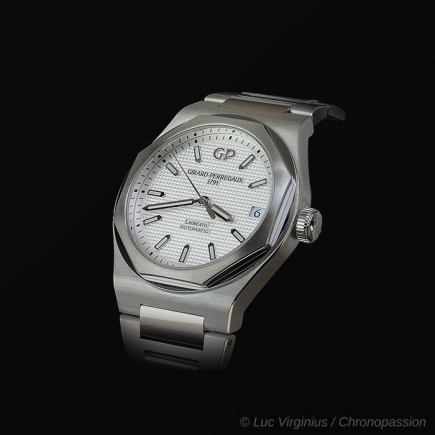 girard perregaux | 33'900 € Tax inc. 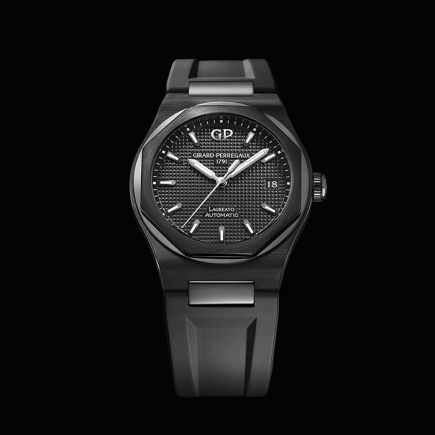 In 2016, the Laureato made a comeback onto the watchmaking scene, in the form of a limited edition in tribute to Girard-Perregaux’s 225th Anniversary. 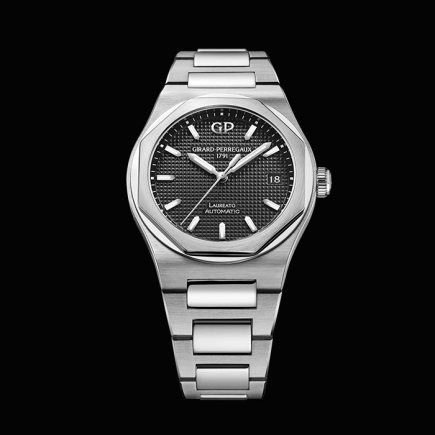 Following this highly successful edition, Girard-Perregaux is putting the Laureato in its rightful place: that of a contemporary watch combining a progressive, unique design with a feeling for detail, excellent timing capacity and perfect taste. 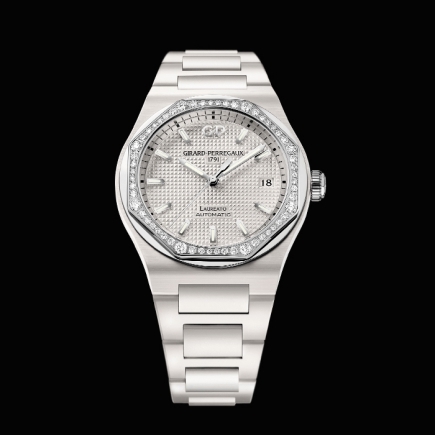 These attributes are those belonging to a truly iconic watch, which finds its way through time with effortless ease. 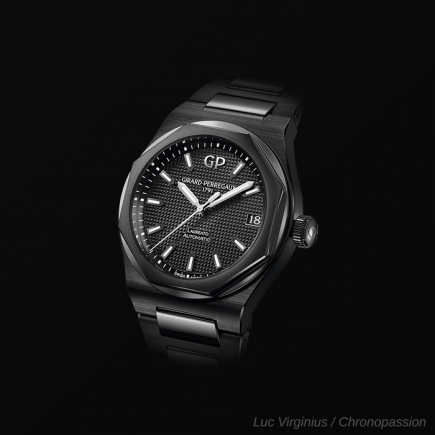 Equipped with Haute Horlogerie complication, self-winding or quartz movements, housed in cases available in four diameters and in versions made of steel, gold, two-tone steel & gold or featuring titanium elements, the Laureato range has never been this extensive or varied. 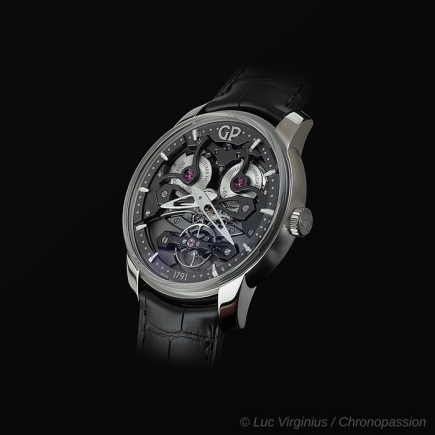 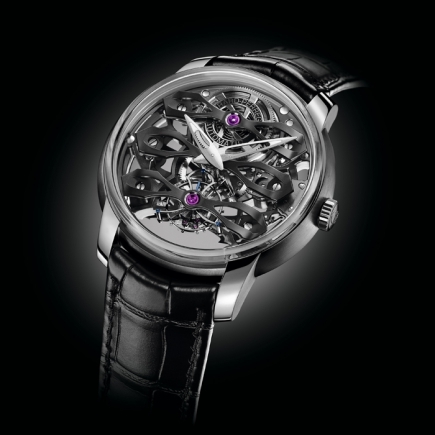 With nearly 30 references, this watchmaking legend lives up to its true potential. 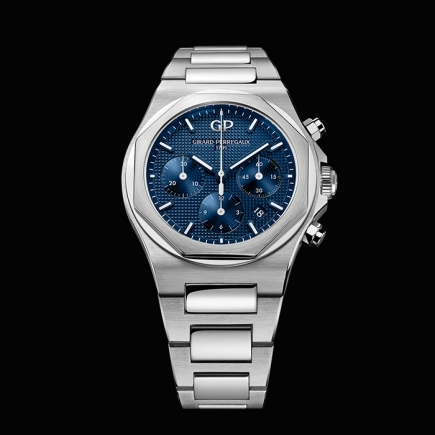 In each of its two sizes, the Laureato Chronograph comes in a choice of two complementary materials. 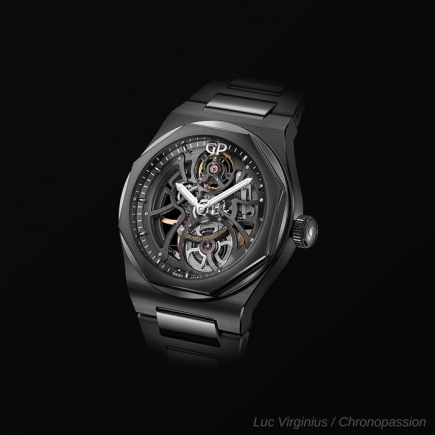 904L steel is distinguished by its high chromium content. 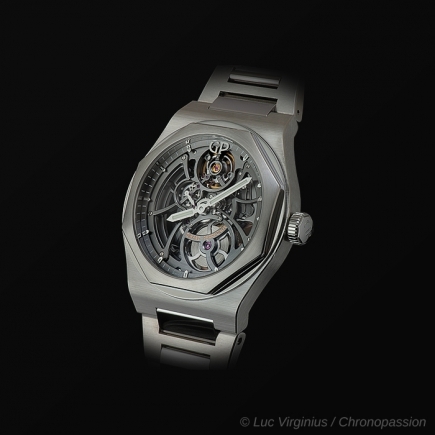 While particularly hard to machine, this metal is endowed with superior corrosion resistance and exceptional radiance after polishing, as well as after the satin-brushing running along the case and bracelet. 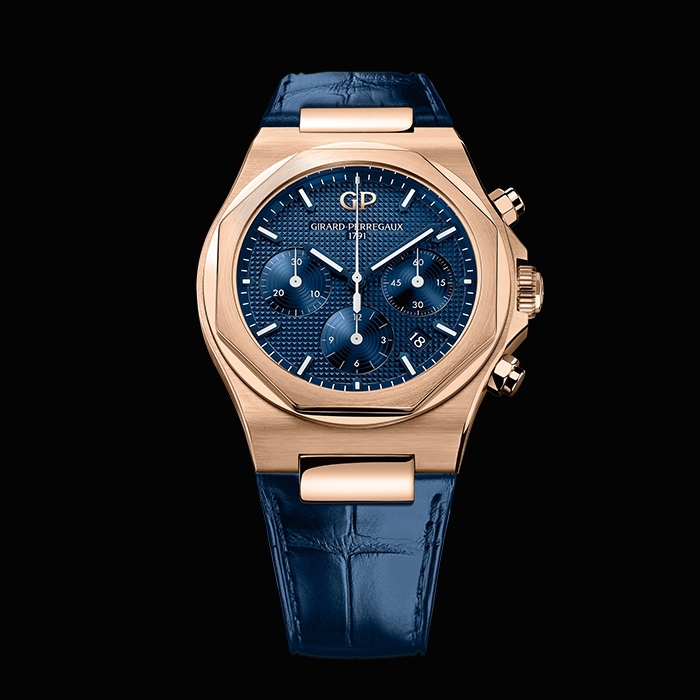 When clothed in 18K pink gold, the Laureato Chronograph proves its ability to be precious while losing none of its natural charm.